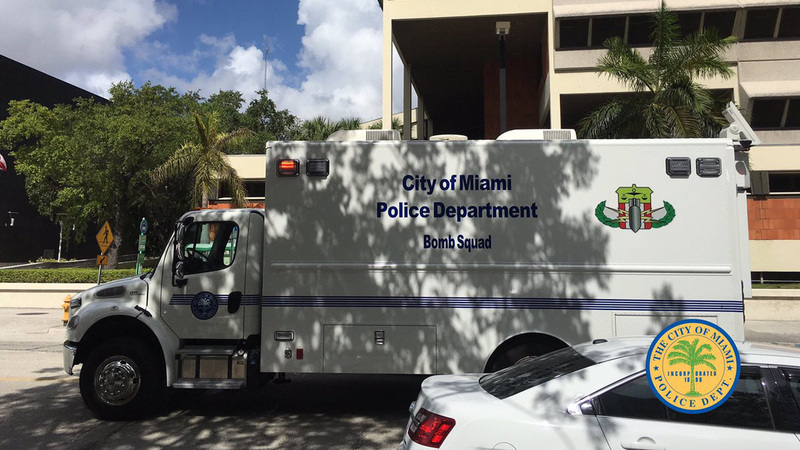 MIAMI, FL -- The downtown Miami Police Department headquarters has been evacuated while authorities investigate a suspicious package. Department officials said Tuesday on Twitter that the package was spotted outside the building around 10 a.m. The agency later tweeted out a photo of a bomb squad truck near the building and urged people to stay away from the area.